Musica in Cerebro A paper about the relationship between music and the brain with exploration of literature and research around neurological links to music. 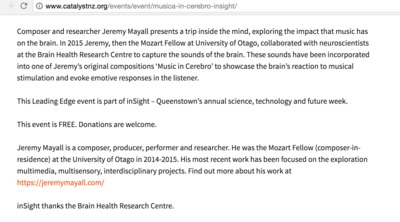 This is paired with a performance of an original composition called "Musica In Cerebro" which was composed for a collaborative project with the Otago University Brain Health Research Centre. The music draws on certain musical ideas that have an emotional and mental impact on us as listeners - combined with recordings of brainwaves. 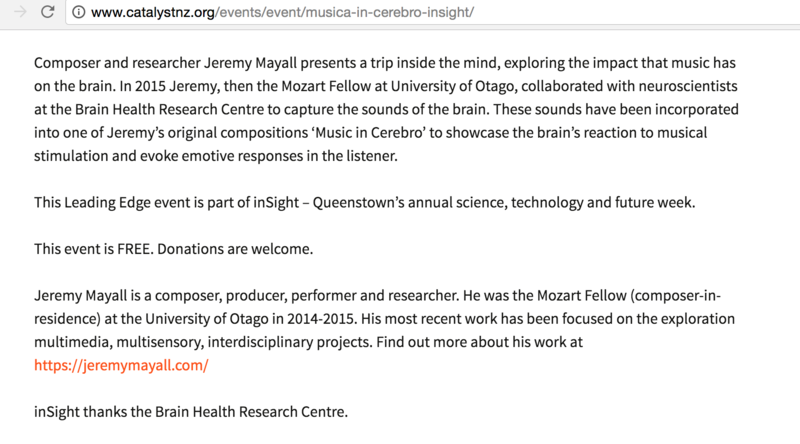 Following on from various research into music and the brain. 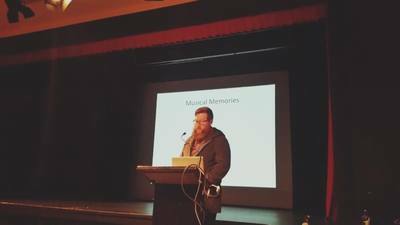 Presented at: inSight: a sneak peek into our future Monday 29 August – Friday 2 September 2016 Catalyst presented a five-day festival of science, technology and innovation with over 20 free films, talks, demonstrations and other events for all the family. We brought you a sneak peek into our future and the opportunity to investigate the big issues, access the experts and explore possible paths ahead for our community with Leading Edge public talks, Sci Shorts science short film festival and the Fast Forward programme for schools.